For Lent this year, I am going to try to post something here each day. Maybe I will post a blessing that I have experienced for the day, maybe it will be a bit of Scripture I read that day, or maybe it will simply be an anecdote or story. No matter what, though, my goal is to post for 46 days straight, from now until Easter. Today, I just want to acknowledge that it’s Ash Wednesday, and I missed going to a service. Last year, I was in Florida and went to Sebring’s nice Methodist Church. This year, I was going to go this morning to St. Mary’s, but I wasn’t sure if a sort of Protestant, kind of Buddhist woman could attend a Catholic Ash Wednesday service. I guess it’s only the Eucharist that they’re insular about, and other ceremonies are not so important as that. It’s okay, Catholic folks, I believe in transubstantiation too. As I was walking from my free parking space by St. Mary’s into school this morning, I started thinking about Lent, because if there is one traditional thing I hold onto about Christianity, it’s the Church calendar. I love the way the seasons ebb and flow, and I love that it marks up the year into manageable pieces. The Christian calendar is like the seasonal calendar, reminding me about who I am and who God is. For example, Lent for me is a time of penance and so is winter. Advent is a time of anticipation and rebirth, so is spring. You see, the same, but different. But I digress, as I was walking into school this morning, I thought about whether or not I’d do anything for Lent this year. By “do anything,” I mean give up something, or the new version of that, which is to add something, and I decided that I’d try to write here every day, and I’d start celebrating the liturgy through Common Prayer. My friend Sarah had heard Shane Claiborne speak and purchased the book, and I’d heard about it, but hadn’t purchased it, so I thought I’d give it a try. I ordered it, but it wasn’t supposed to be delivered until the 23-28 of February. So, as I walked this morning, I thought to myself, well, when that book gets here, I’ll get started with my spiritual practice for Lent. I figured it would be here when I got back from Chicago next weekend, so I’d be a bit behind. Sure enough, Common Prayer was delivered in today’s mail. Tonight I’m reading the introduction. Peace. This entry was posted in Christianity, Goals, Grace, Lent, Mental Health, Reading, Relationships, Religion and tagged Ash Wednesday, Christian, Church, Jesus, Joy, Lent, Light of the World, Liturgy. Bookmark the permalink. You’re going to be my Lent thing this year! that’s what I have to say about this post. Would you consider being my “accountability partner” to use a malign phrase from my past life? Here’s my proposal: I’ll read and think and then comment on your blog; you do the same on mine; and we’ll both grow. Kinda like parallel play in the church nursery…. Now for the comment part. 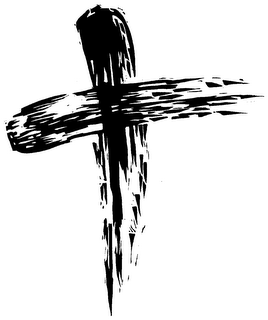 I’ve often attended Ash Wednesday services at various Catholic churches, and unlike the Mass, they are inclusive and meaningful. However, these days most Protestant churches–many, anyway–do meaningful services, too. I just deleted a verbose explanation of what irritates me about the Mass’ intentional exclusion of us heathen Protestants, whether or not we’re “kind of Buddhist.” Somehow, I don’t think that’s what I ought to be doing, either here in your comments or in my own blog entry for Lent. I don’t promise to post every day, as is your plan, because I won’t be able to do it. But I will write a Lent blog this year, with entries 2-4 times per week. Will you comment regularly and keep me thinking?